Respite Care Services, Inc. believes in giving back to our consumers and helping them to live full and abundant lives as an integral part of their community. We offer the following programs to consumers enrolled in our services. Programs are based on availability and on meeting certain requirements for participation. 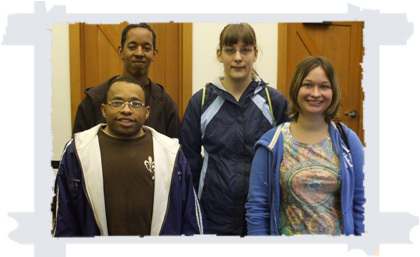 "The Circle" is a social networking program designed for higher functioning individuals with developmental disabilities, ages 18-30 years old. This program is geared toward developing socialization skills while increasing the level of independence of our consumers. Our consumers will develop these skills by participating in group discussions and activities along with activities out in the community. The "We Can!" 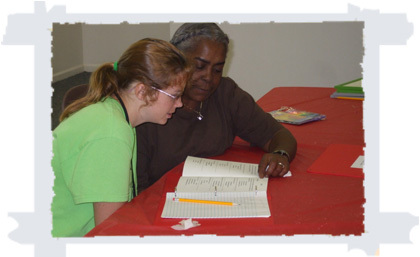 Summer Literacy Program is an 8 week program that offers a wonderful array of classes and community awareness sessions for Respite Care Services, Inc consumers. The program features two sessions the We Can Group! for higher functioning consumers and the We Can Friends! for lower functioning consumers. Classes are twice per week, on Mondays and Wednesdays. Fridays, are our field days with community partners in various community awareness areas. Core courses are all interactive and designed to merge the subject areas with what we like to call interactive developmental learning. Math: Consumers learn basic math skills of addition and subtraction, money recognition, and money management. Consumers also learn to identify coins and currency and how to pay for items, wait for change, and write checks in mock scenarios to promote independence in purchasing their own items in the community. Reading: Consumers learn to identify survival and site words; basic phonics; spelling; and beginning readers. Consumers also learn to read for instruction, leisure, and daily living skill. Earth Science: Consumers participate in interactive science learning to better understand the earth around them. Consumers also participate in a planting program to study vegetation and ultimately promote healthy eating/diet. All courses are taught by Indiana and Illinois licensed teachers and certified para-professionals. The program features smaller student-to-teachers ratios in class sizes of 6-to-1. 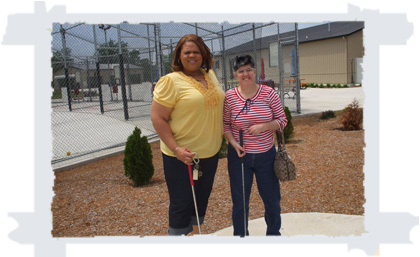 We offer monthly activities to a variety of fun and interesting places, such as Railcat's games, miniature golfing, and a variety of plays and musicals. We also host an annual summer picnic and an annual Christmas party for all of our consumers. All current consumers of Respite Care Services, Inc. are invited to attend these outings at no cost to the consumer. Information on monthly activities are mailed to all individuals who sign up for the monthly activity mailings.